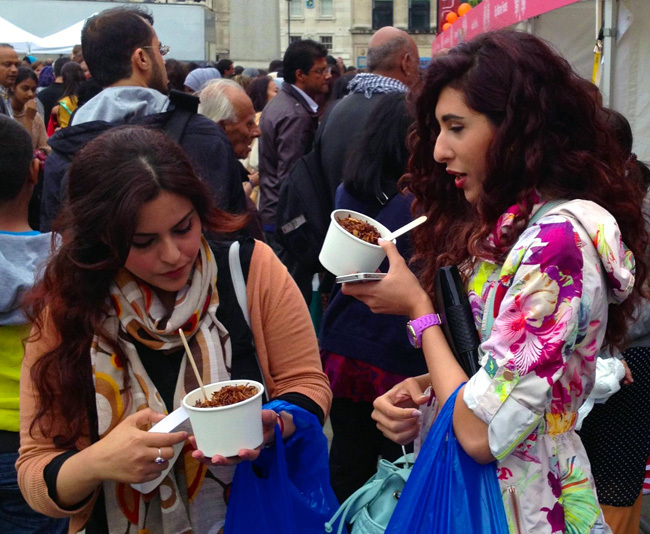 Yesterday, we had our first serious Koshari Street event, setting up stall at the Mayor of London’s Eid Festival in Trafalgar Square. It was quite amazing. We never stopped for one minute, serving people of all ages, all nationalities, all sexes who all loved our koshari. And we loved them for wanting it. I particularly loved the two young girls in the picture above, university students who had come up to London for the festival and had stocked up on food from other stalls which they carried in blue plastic bags. I should have asked them to put the bags aside for the sake of the picture but then I wouldn’t have caught them so natural. Another one I loved was the gentleman in the picture below squeezing through the crowd anxiously carrying away his pots of koshari. 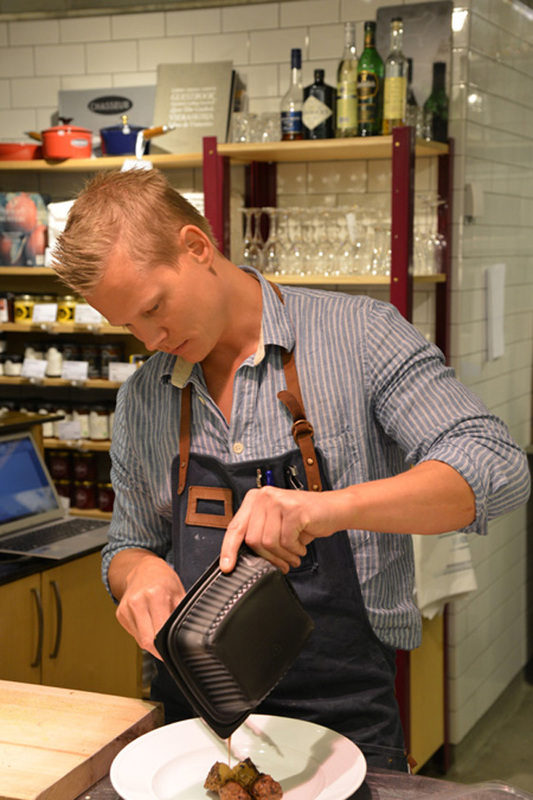 I also liked his fashion sense although not as much as that of two Italian ladies who also enjoyed our Koshari. I am not sure why I didn’t take their picture. They were just as gorgeous as the two university students. But I took others, all with instagram, which I resisted for years but no longer and if you are curious to see them, you can in our facebook album!